You know what the best thing about late spring and summer is? Aside from dusting off all those airy sundresses and comfy espadrilles? Party time. From graduation to Memorial Day to bachelorette parties, baby showers and weddings, celebration season is officially upon us. 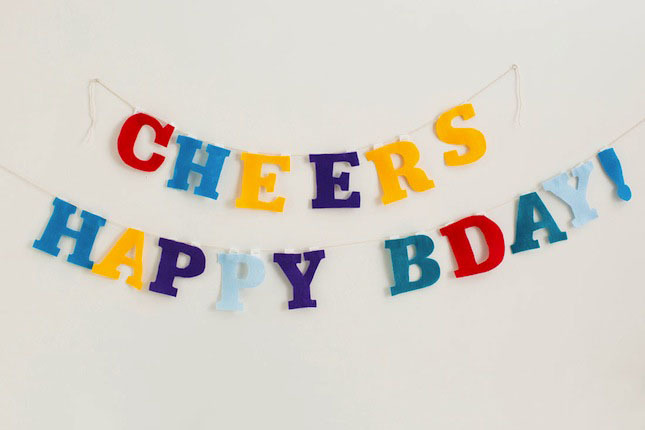 To lighten the load in terms of endlessly buying and making new decorations, we’ve got a simple hack that’s good for every single occasion you could possibly celebrate. 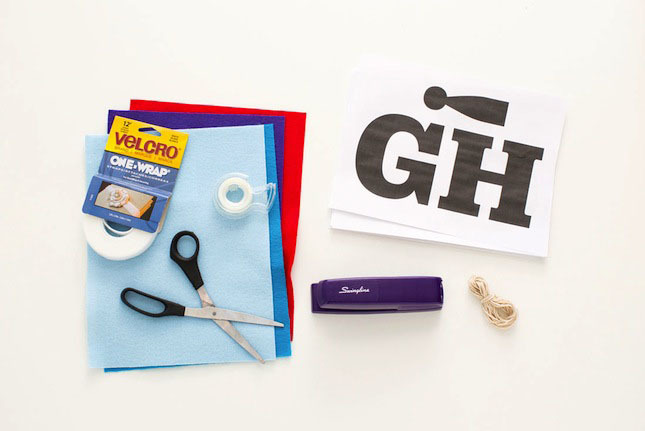 Read on to see how to make your own customizable banner with just a few simple materials! 1. 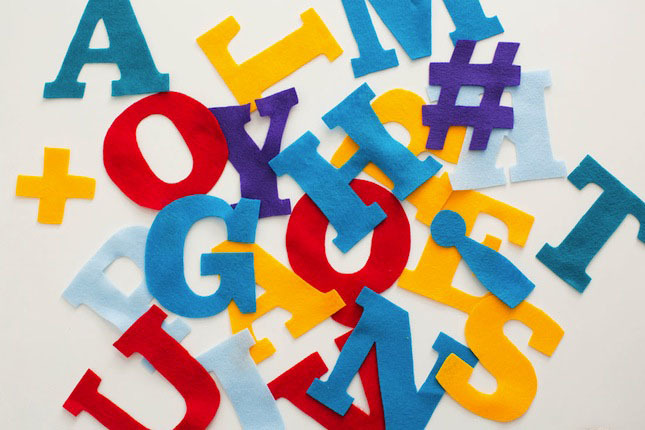 Print out the letters you want. 2. Tape each page to a piece of felt. 3. Cut the felt to the shape of each letter. 4. 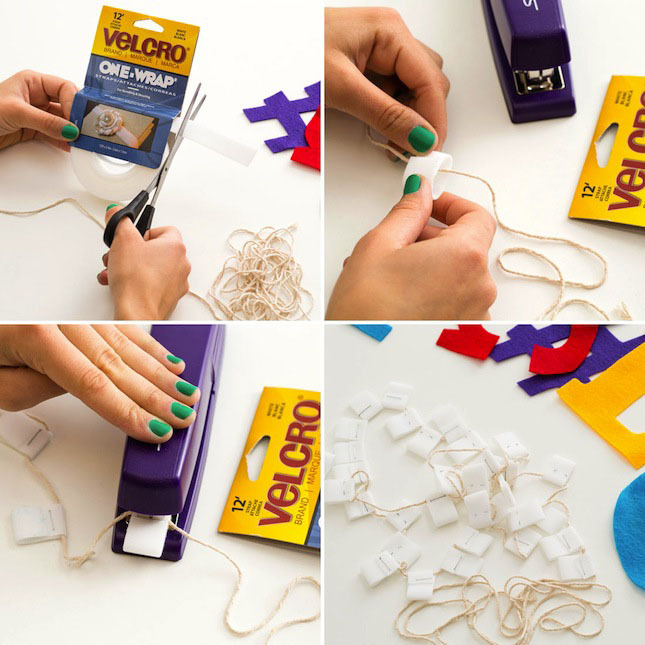 Cut a piece of VELCRO® Brand ONE-WRAP® Straps about 2 inches long. 5. Wrap the strap around a piece of string and staple. 6. 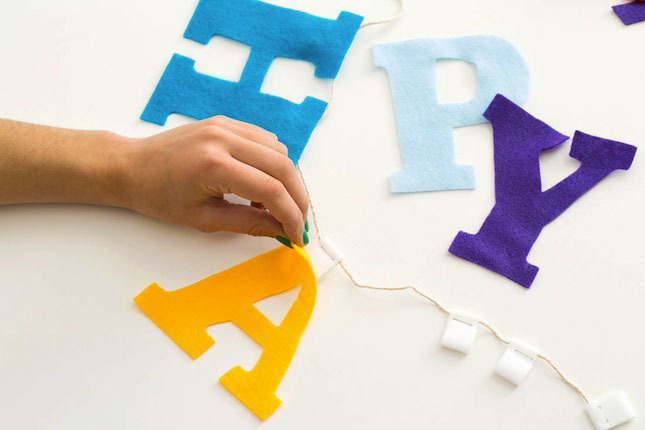 Attach felt letters to each loop. Felt gets kind of a bad rap but it’s actually pretty awesome. First, you don’t need to hem it. It’s fabric and easy to fold up and all that jazz, but doesn’t fray. Win! It also attaches directly to VELCRO® Brand Tape. Woot! 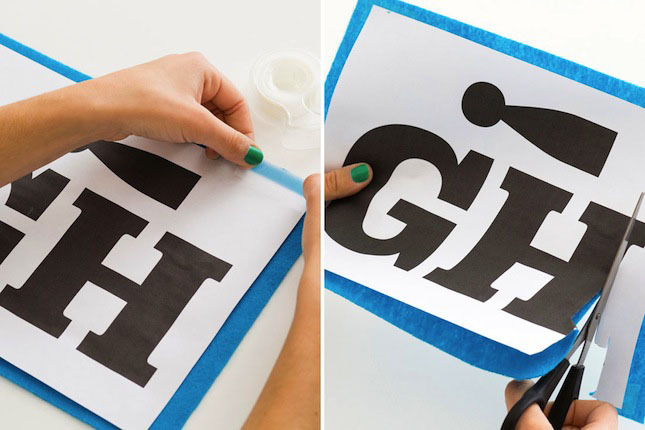 Print out your letters and tape them to felt sheets. Cut out the ones you need. Our template has the entire alphabet plus a few helpful symbols like the @ sign, hashtag sign and plus sign. 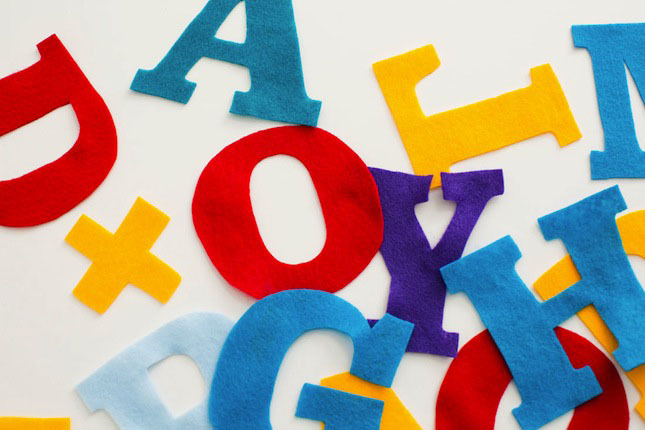 Now you need to create loops that your letters will attach to. Cut a piece of VELCRO® Brand ONE-WRAP® Straps about 2 inches long. Wrap the strap around a piece of string and staple. Keep doing this with as many loops as you need. You should plan for two loops per letter. 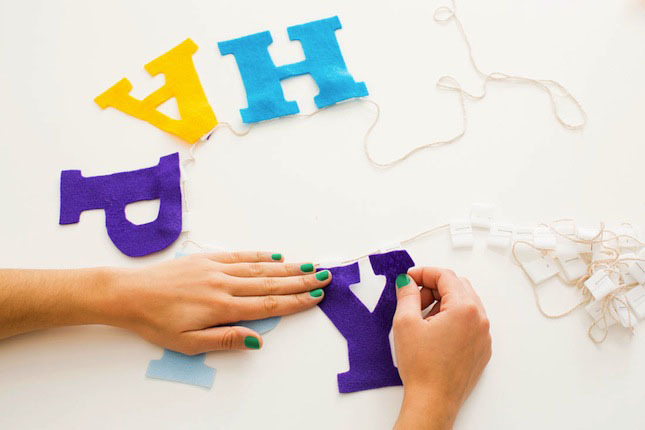 Because all letters are different, these loops are easy to scoot around on your string. You know how we said two loops per letter? Well, A’s are the exception to that rule ? 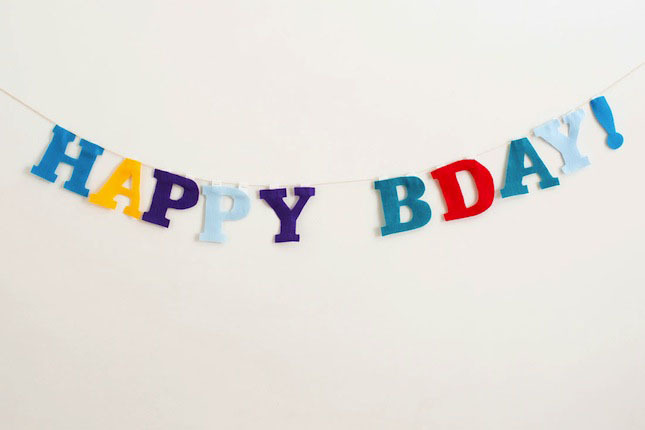 You can make lots of banners for one occasion and set up a dessert table, gift table or bar right underneath them. How fun is that? 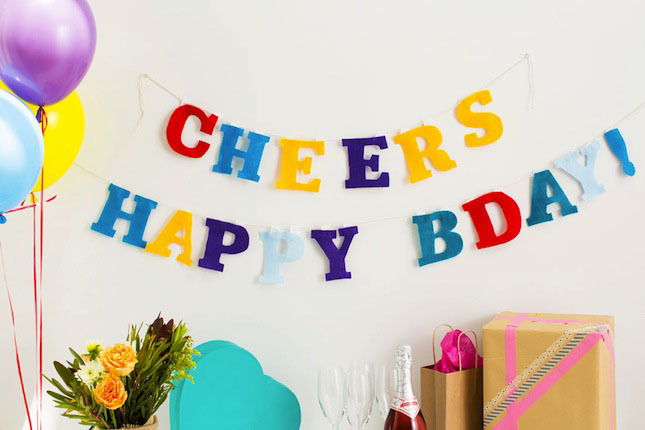 What are your favorite party decor hacks? Talk to us in the comments below.